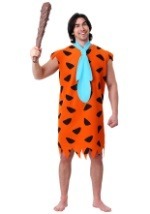 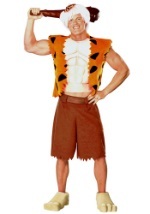 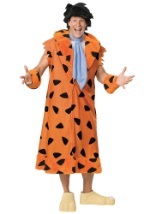 Showcase your Stone Age style with this Wilma Flintstone Adult costume. 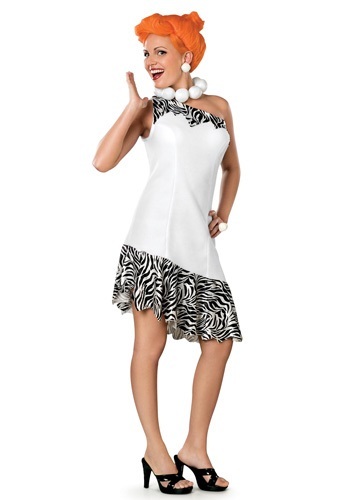 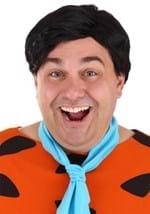 The Flintstones dress is made of 100% polyester and comes with a single shoulder strap as well as tattered zebra-stripe trim. 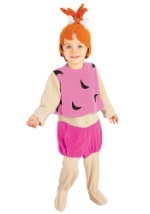 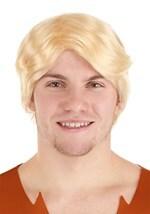 A large plastic stone pearl necklace and orange wig with bobby pins are also included. 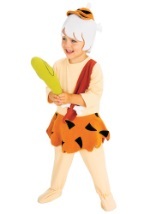 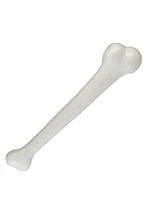 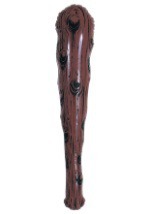 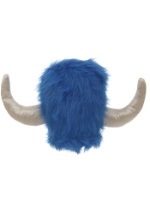 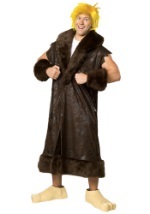 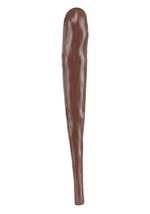 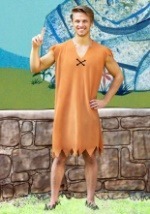 Browse our Flintstones accessories for Giant Funny Feet and you'll be set to hit Bedrock's nightlife.